The Grand Dame Hotel is one of the best hotels in La Paz District. Located right across the street from La Paz Market, the birthplace of the La Paz Batchoy, the hotel receives high ratings from guests for the courteous reception from their staff, decent rooms, and European-inspired design. The Emilion restaurant is also quite famous among locals for their affordable Japanese buffet. 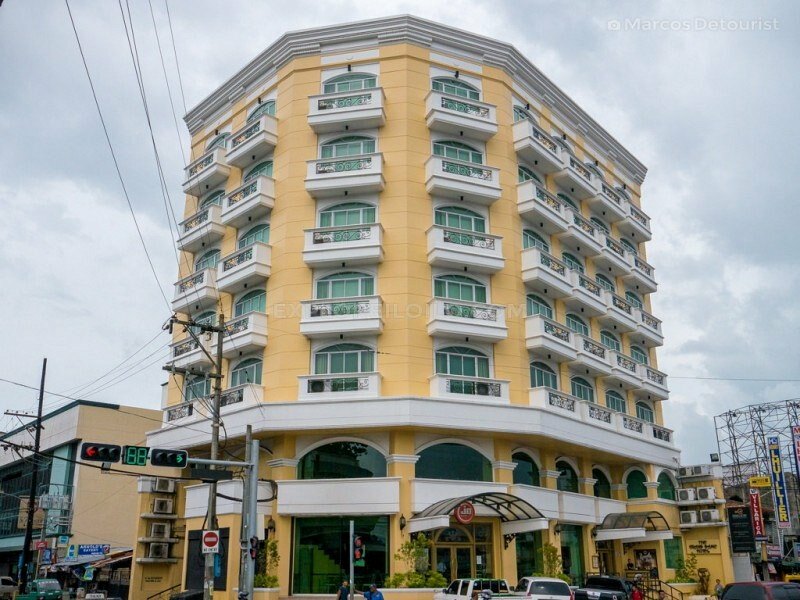 Grand Dame Hotel is one of the boutique hotels in Iloilo City. This mid-range accommodation has received plenty of positive reviews from hotel guests because of its elegant and spacious rooms offered at reasonable rates. Its location in La Paz district is perfect for travelers who want to avoid staying at the busy downtown area but still like to have easy accessibility. The City Proper district is less than 5 minutes away from Grand Dame Hotel by taxi or local commute. Jeepneys plying the road near the hotel connect La Paz to City Proper and Jaro. The hotel sits in front of the La Paz Market, known as the birthplace of the original La Paz Batchoy. 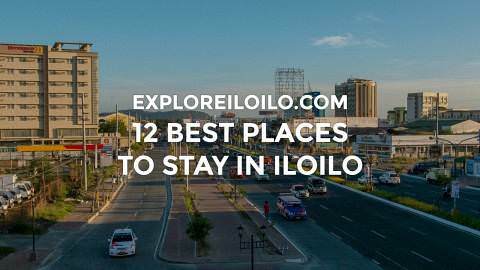 It is also within walking distance to Gaisano Capital Mall, one of the major shopping centers in the city. 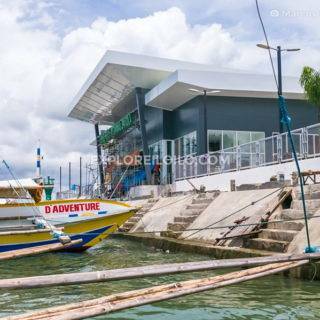 The rooms at the upper floors of the Grand Dame Hotel provide excellent views overlooking Iloilo City’s growing skyline and the picturesque Iloilo River. Another great feature of this hotel is the Emilion Restaurant located at the third floor. Emilion is a favorite dining destination among Ilonggo locals because of its excellent Japanese Buffet offered every Tuesday to Friday. The Grand Dame Hotel stands magnificently at the corner of Rizal and Huervana Streets, La Paz, Iloilo City illuminating the old charm and elegance of a classic French architecture. A renowned interior designer from Manila conceptualized the magnificent indoors. Nice botique hotel, with very clean, new, comfortable rooms. The word, Dame, is a noun meaning, a lady. It is a title of the order of the British Empire conferred on a woman, equivalent to that of a knight, who had rendered years of admirable service and loyalty to the kingdom. The phrase, Grand Dame, therefore, refer to a legal title of a “great lady” whose accomplishments have been recognized by the highest authorities. You can book a room at Grand Dame Hotel at Agoda.com. I’ve been away from our loving country for more than fifty years, but when I speak either tagalog or hiligaynon, nobody noticed that I was away that long. hello to all,i would really appreciate if anyone can pass me on the standard room for four @the grand dame thanks…. You can book a room online at Agoda.com: . They don’t have a room good for four listed. Getting two rooms is an option. You can also call the Grand Dame Hotel by phone to inquire. Grand Dame unfortunately doesn’t have a pool. Is hotel got swimmimg pool? I have to kids to entertain and both love water!!!!! I stayed at the Grand Dame Hotel last year for a business trip. I liked my stay. The room was fresh and well-kept, the furnishings were classy, and the bathroom amenities are clean and modern. The service was also nice – amiable and non-intrusive. I’d like to go back there, this time for personal leisure, so I can fully enjoy my stay in their rooms. I stayed at grand dame last december the hotel is CLASSY FOR A SMALL HOTEL and most of the staff are friendly,one incident that irritates me is one of the bell boy is a little bit rude and commented in hiligaynon that I’m mayabang cause I answered a mixture of Hiligaynon and Tagalog when he greeted me if I am a hotel guest. I’m half hiligaynon and just came back for a visit in the Philippines after more than 8 yrs overseas and it’s just normal for me and most Filipino’s to get rusted on speaking fluently our native language. My hotel room is beautiful but did’nt get much sleep because the hotel is located close to the market and it’s noisy. So instead of staying for another night I just decide to check out very early and I notice when I’m checking out that they have installed CCTV cameras on the room cause when I’m paying my bills I saw on the monitor the room itself while a housekeeper is checking the room. My privacy could been violated…. hotel staff services and proffesionalism is way up. I don’t know if you’ll even reply to this but are you sure it was inside the room itself or just the hallway? That’s crazy! Not only would they lose business but it wouldn’t even be legal. i agree..hotels in the Philippines is a plus compared to US..i’ll try to check in at Grand next time..is it near Gaisano lapaz? We stayed at the Grand Dame last year and just loved it. Excellent comfortable room, marble bathroom. Very quiet. Food in their restaurant was excellent. Throughout the hotel the staff was extremely friendly and helpful. Mall a block away as well as plenty of shops. I recommend it whole heartedly. Every bit as nice as a quality hotel in the states or Europe.